Grid—connected Photovoltaic (PV) system is one of the smart—grid system branch which offers plenty of opportunity for further improvement. Apart from grid synchronizing procedure, pulse width modulation (PWM) technique plays huge role in constructing the grid—connected PV system to be more efficient and reliable. This paper presents the design and simulation of Sinusoidal PWM (SPWM) and Space vector PWM (SVPWM) based on two level three—phase voltage source inverter (VSI). The simulation is performed in MATLAB/Simulink platform. Comparison between both PWM techniques in terms of the utilization of DC voltage and total harmonic distortion (THD) were carried out. SVPWM demonstrates better performance as compared to SPWM hence is qualified to use for grid—connected PV system. 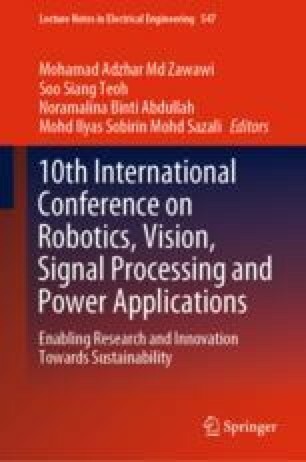 The authors wish to thank Research University Grant (RUI)—RCMO Universiti Sains Malaysia, (USM) with No. Account: 1001/PELECT/8014028 for providing financial support as well as computational facilities to carry out this research at the School of Electrical and Electronic Engineering USM.